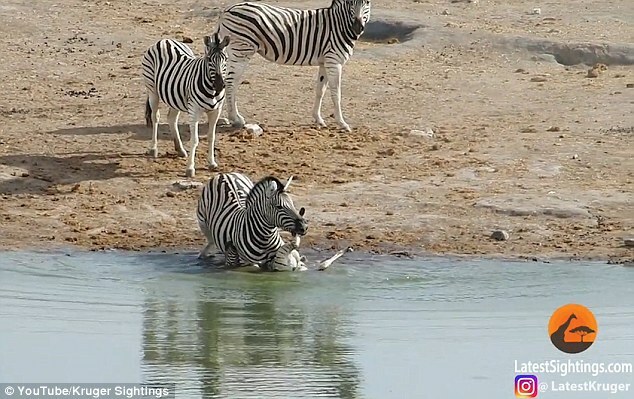 This brave mother zebra desperately defended her foal after a vicious male rival tried to drown it at a watering hole to assert his dominance over the herd. 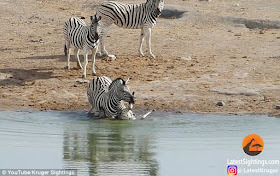 The baby is seen upside-down as the male holds it under the water at a lake in Etosha National Park, Namibia. But the baby manages to get onto its feet and runs away from the attacker, beginning a life-or-death chase. Male zebras regularly kill foals sired by other males in order to assert their claim to be the dominant male in the herd and ensure they do not become a future rival.